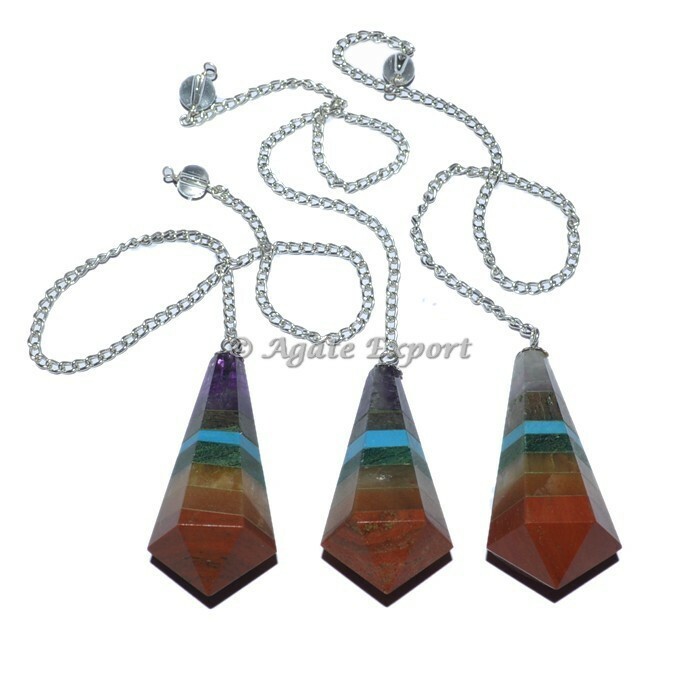 Get the best Bonded 7 Chakra Pendulums which is include the stone is Carnelian, Red Jasper, Yellow Jade, Sodalite, Green Aventurine, turquoise and Amethyst. This bonded chakra pendulum is used for Meditation and also It is available in bulk quantity only at Agate Export. Place the order today.